The Yokohama Dreamland Monorail was an Alweg-style monorail that operated between Ofuna Rail Station and Yokohama Dreamland from 1966 to 1967. Issues with the guideway forced the operators to close the system and it never operated again. To date some track still exists along the route. 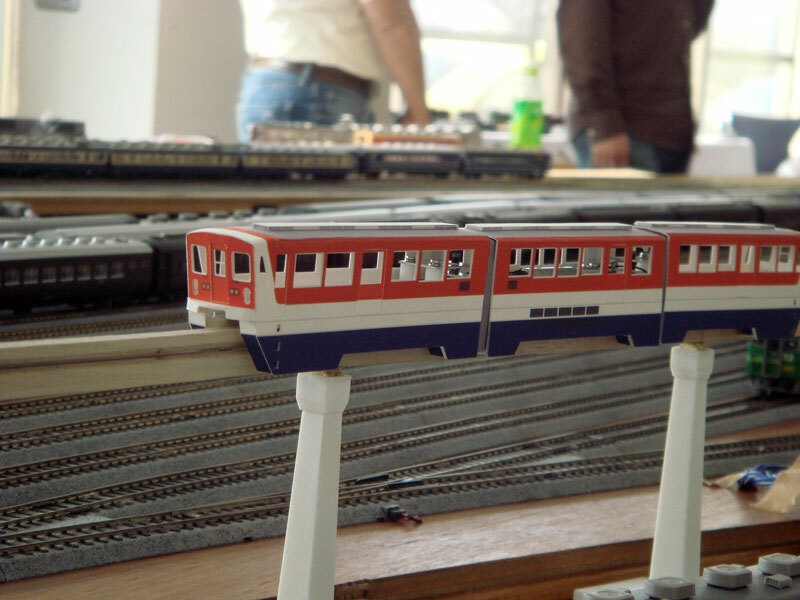 Ryoji Wada has shared these wonderful pictures with us of the operating scale model he has built, based on the original Toshiba-built monorail. A nice view looking up at monorail train. 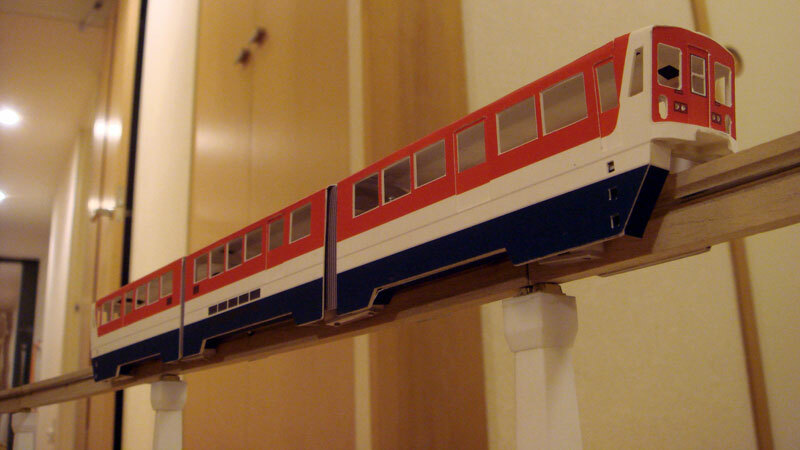 Note the detail of the wood guideway, complete with bus bar which supplies electricity to the model. Ryoji's model on display with other scale model railroads. 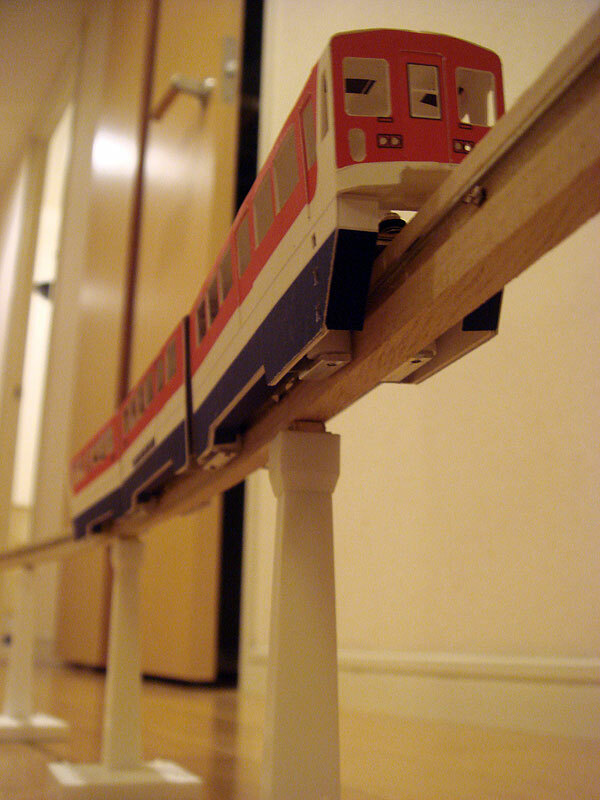 Be sure to visit Ryoji's Dreamland Monorail Model website, which includes movies of the model operating. For pictures of the original line, visit the Yokohama Dreamland Monorail website.